The KZN Top Business is a unique content marketing company that creates and distributes relevant information about businesses through a range of communication channels: digital, social, video, print etc. Publisher Grant Adlam says, "We assist in promoting visibility of brands, including driving relationships and improving client retention through targeted campaigns." The KZN Top business website www.topbusiness.co.za is comprehensive and well ranked and has been used to promote KwaZulu-Natal's economy for over twenty years. "In 2019, apart from the printed KZN Top Business Portfolio, we will again publish a separate KwaZulu-Natal Leaders' Portfolio profiling our provinces' business leaders. This information will also be available on our website www.kznleaders.co.za," said Adlam. 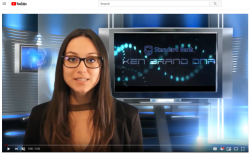 KZN Top Business is excited to expand its multimedia features. Following the successful launch of the KZN Leaders' video interview series, this offering will now include KZN brand DNA stories. Through the power of video content, businesses can build an engaged community by telling their brand story. The province of KwaZulu-Natal has produced some of South Africa's most famous home-grown brands that have stories we can all be proud of - and would like to hear. KZN brand representatives will be interviewed on camera in a studio setting and an edited video clip produced. The KZN Brand DNA stories will also be featured in a limited-edition coffee table book. KZN Top Business is currently building a YouTube channel that will host the growing video library. Contact Tracy to have your brand story profiled. For more information visit www.topbusiness.co.za or contact Tracy.